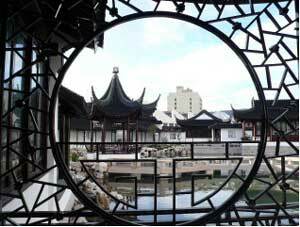 A celebration of our Chinese culture and heritage, it is the only authentic scholar�s garden in the southern hemisphere. Visit the teahouse for coffee, traditional tea and snacks. Appreciate the garden at dusk on Wednesday evenings. Join us daily to feed the goldfish. �Explore a garden full of culture that tells a story at every corner. The Dunedin Chinese Garden commemorates the contribution Chinese people have made, and continue to make, to Dunedin�s history, culture and ongoing prosperity.� It is a gift to the city for all New Zealand, honouring the past, celebrating the present and providing enlightenment on our shared path to the future.